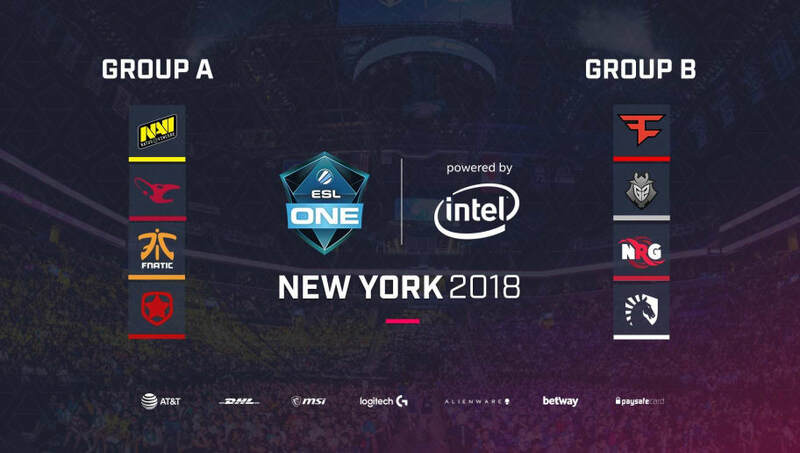 ESL revealed the groups for ESL One New York Wednesday in an announcement posted to Twitter. Group A contains Natus Vincere, mousesports, Fnatic, and Gambit Esports while Group B contains FaZe Clan, G2 Esports, NRG eSports and Team Liquid. The #ESLOne New York 2018 groups are set! Which four teams will make it to the Arena Days at the @barclayscenter? Each group will play a double elimination bracket of best-of-three matches, where the top two teams from each group will advance to the playoffs. Qualifying teams will finish out the tournament at the Barclays Center in Brooklyn. Na`Vi enters the event as the reigning ESL One champion, having won ESL One Cologne June 8. Meanwhile, FaZe Clan took home the last ESL One New York last year. ESL announced its New York event's return to the Barclays Center April 18 alongside the tournament's $250,000 prize pool. The competition is scheduled to begin Sept. 26 with the group stages, followed by the playoffs on Sept. 29.